It’s time to hit the mountains with a timeshare in Utah! Experience all that this state has to offer, from skiing to hiking and everything in between. Utah timeshares are even more affordable on the secondary market. Conveniently browse SellMyTimeshareNow.com for our latest deals! What’s My Utah Timeshare Worth? Fall in love with Utah vacation rentals and timeshare resales on the mountainside. 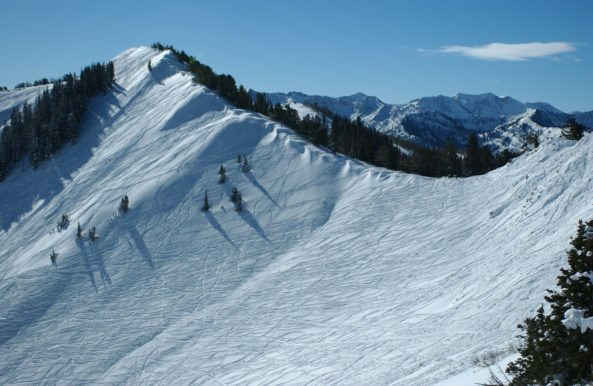 Known for its fresh powder, unparalleled wildlife, and incredible ski resorts, Utah is the ideal place to take a cold winter vacation with the whole family. Break out of traditional timeshares and consider a winter wonderland that will give you a new experience every time you visit. Utah is one of the top skiing and snowboarding destinations in the world and Park City happens to be one of the most popular. There are dozens of great spots to choose from, friendly instructors, equipment rentals, and more. On top of their winter activities, Utah is just as spectacular in the spring, summer, and fall seasons. Visit some of the many parks at your disposal and enjoy all that Utah’s nature has to offer. If a Utah timeshare speaks to you and you’re wondering how you can get the best deal possible, we suggest timeshare resales or rentals. SellMyTimeshareNow.com is one of the leaders in the timeshare resale market and we have thousands of listings available for you to browse at your own convenience. With more questions about our listings or how we can help you, please fill out our contact form or call our timeshare specialists today at 1-877-815-4227. When you love a vacation spot and want to return time and time again, a timeshare resale is the best option. The secondary market can help you save thousands as you shop for the best resort. Utilizing reputable timeshare resale companies like SellMyTimeshareNow.com means easy search functionalities, transparency, and dedication to ensure you get everything you need out of your timeshare resale. If you want to test out a particular Utah resort before making an offer on a timeshare resale, consider a timeshare rental to get a better feel for the room, the destination, and the amenities you could receive in the future. Timeshares in Utah are in high-demand and that’s because their amenities are hard to beat! Utah is the perfect place for a winter getaway. Feel the crisp mountain air and get ready to spend your days at some of the most renowned ski resorts in the world. Whenever people think of timeshares in Utah, they think of Park City and hitting the slopes. Skiing, snowboarding, snowmobiling, and snowshoeing are some of the many activities visitors try. Westgate Park City Resort and Spa, Marriott’s MountainSide, and Marriott’s Summit Watch are some fan-favorite resort options! There are 43 state parks and five national parks in the state to explore. When you choose a Utah timeshare, you get to relive the same or explore new territory every time you visit. Not to mention, there are so many stunning lookouts for you to see for the perfect photo and memory with the whole family. With so many state and national parks, Utah is a great place to experience nature. The state is home to over 600 species, many of which you can experience while hiking. Utah is especially beautiful in the fall when the leaves begin to change color all the way up the mountains. Trust us—it’s a sight you don’t want to miss. A Utah timeshare is ideal for the whole family. If you and your children are looking for an adventure, consider hiking the family-friendly hike trails, a trip to the Lagoon Amusement Park during the summer, or head over to Park City to get on the slopes. The possibilities are endless and you will find a new exploration every vacation. Finding the perfect Utah vacation rentals or timeshares is more than just the location—it’s about having the right amenities! Utah’s spas and resorts have been locally and nationally recognized as some of the best, and it could be the perfect way to round out your trip after a fun week on the mountain. Utah’s largest and most popular airport is Salt Lake City International Airport, located in Salt Lake City. Provo Municipal Airport in Provo and St. George Regional Airport in St. George/Beaver are available for flights, as well. Already Own a Utah Timeshare?